This has been a favourite for both adults and children this summer, they taste great and also I think because they are something a little different. 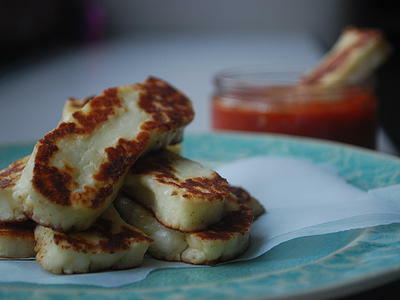 Halloumi (also known affectionately in our house as ‘squeaky cheese’!) 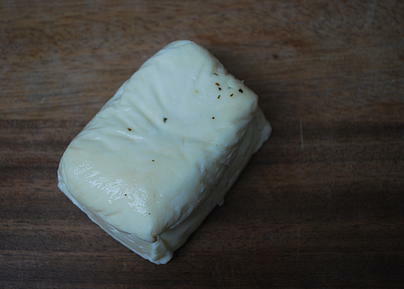 is a semi-hard Cypriot cheese, usually made from a combination of sheep and goat milk. It has a lovely salty taste which sweetens when cooked, when it turns crisp and light brown. 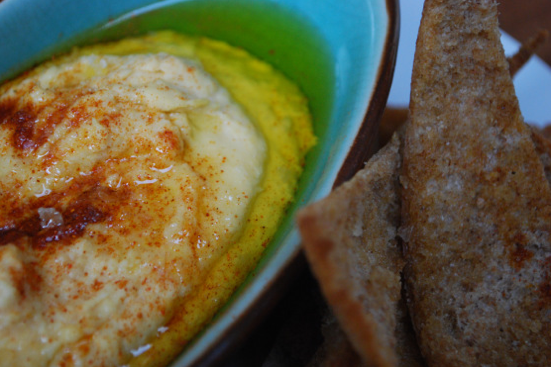 It makes a fun dipper with a spicy and vibrant dip such as this harissa dip. 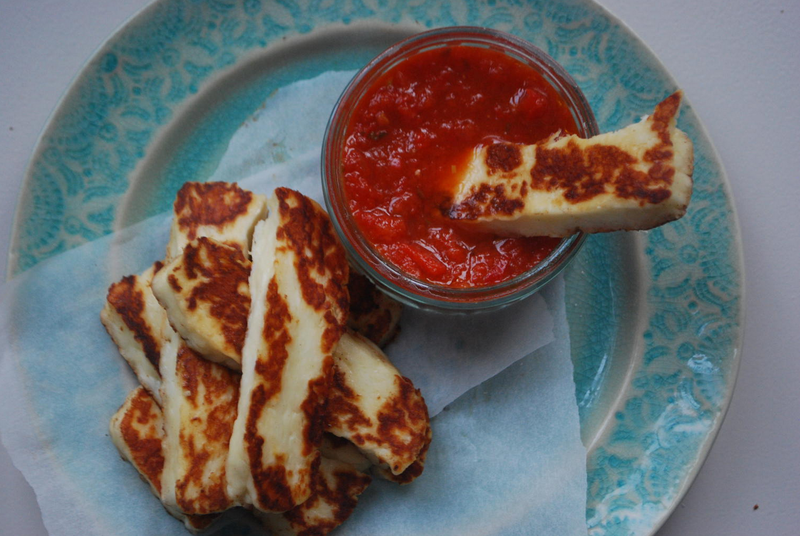 Our halloumi dippers are naturally gluten-free and the perky and versatile harissa dip makes a nutritious and refreshing alternative to the usual ones available. Halloumi may be better tolerated by those who are sensitive to cow’s milk (check the label to ensure the one you buy is sheep and goat milk). Garlic is a potent anti-microbial to help kill off bugs and spices such as cumin, chilli and paprika are rich in immune boosting antioxidants. 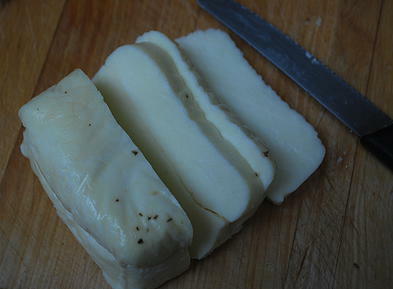 Take the Halloumi out of its packet and cut into 1 cm thick slices. Often it will break into strips but this doesn't matter as you want them as dippers anyway. 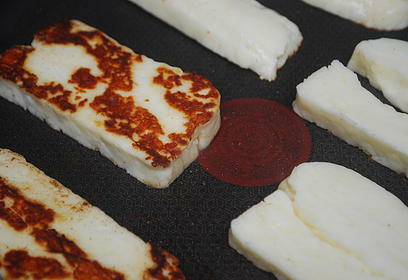 Heat a non-stick pan over a medium to high heat and after a few moments place your halloumi into the pan. Leave the cheese to brown for around a minute or two each side. When you turn it over you want to see a lovely caramelised surface and you will notice the cheese would have become softer (it then firms as it cools). 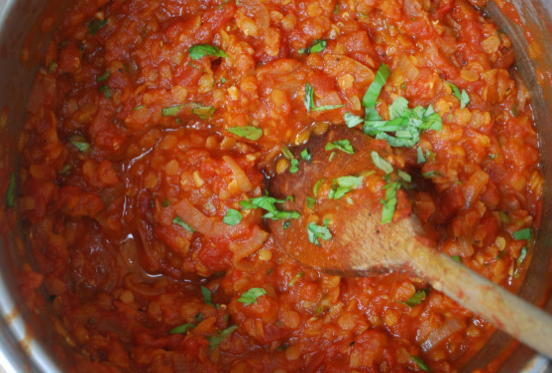 Place everything (except the olive oil) into a small blender, or using a stick blender blitz all until a puree. Finally add the olive oil to help thicken and emulsify slightly. 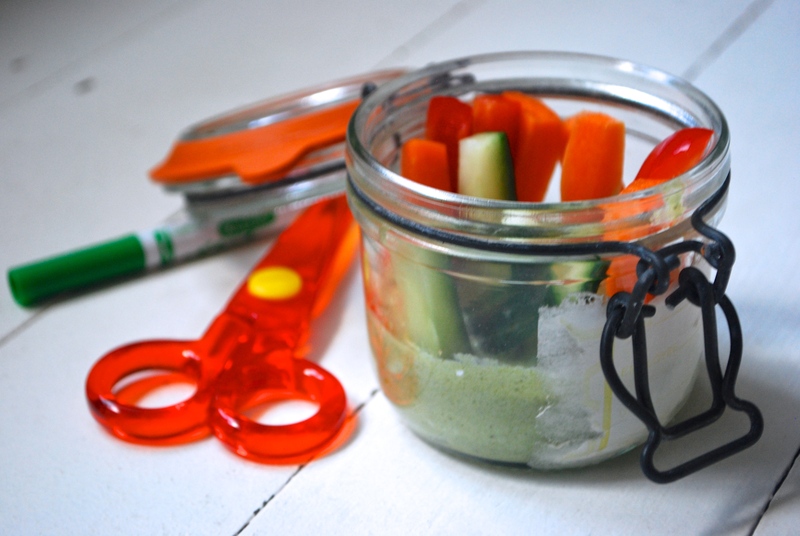 Pour into a ramekin and serve as a dip with your halloumi dippers. 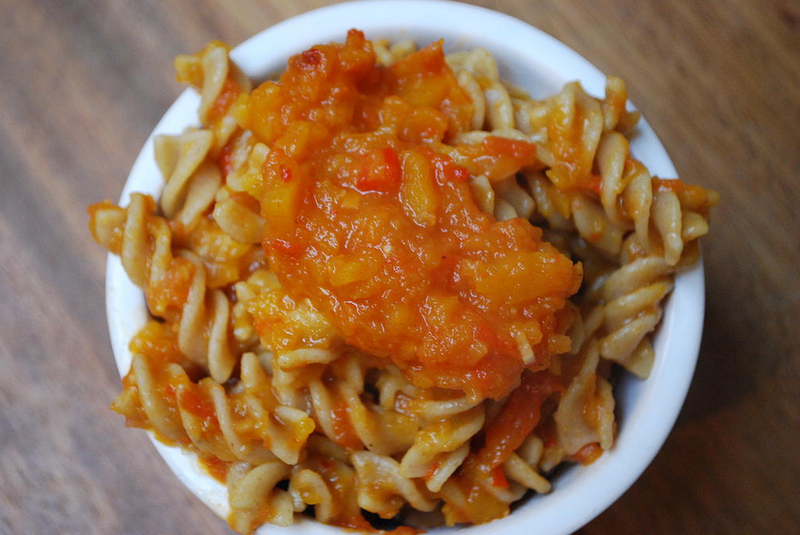 This is also delicious stirred through hummus, on its own with vegetable sticks or as a marinade for chicken, pork or white fish.